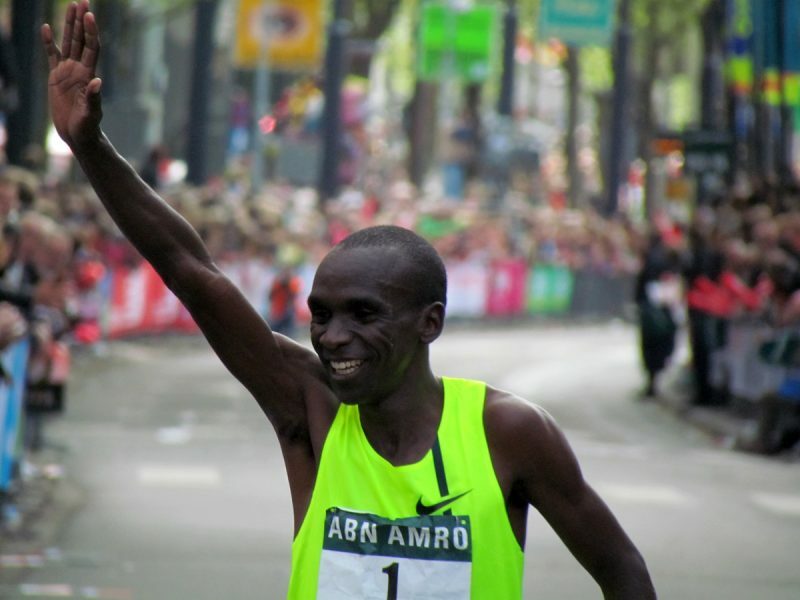 Kenyan Eliud Kipchoge won the 34th ABN AMRO Rotterdam Marathon on Sunday, but failed in his bid to break the course record on a windy day in the Dutch port city. The 29-year-old, who was the pre-race favourite, finished the race in Coolsingel in 2:05:00. Eliud Kipchoge's compatriots and training buddies Bernard Koech (2:06:07) and Bernard Kipyego (2:07:57) finished second and third respectively. 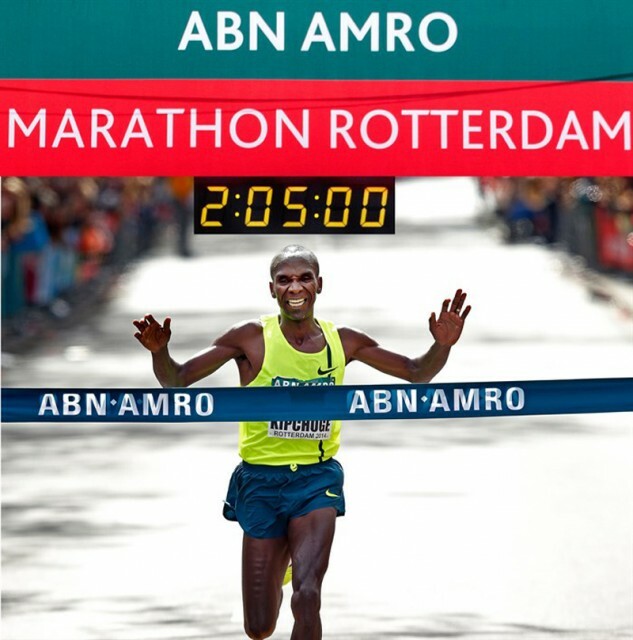 The Rotterdam Marathon organizers had hoped he'd break the course record of 2:04.27 set in 2009 by the Kenyans Duncan Kibet and James Kwambai, but pacemakers dropped out regularly as wind hindered the runners. "I'm happy to win the race," Kipchoge said after the race. "Next time, I will come for the course record." 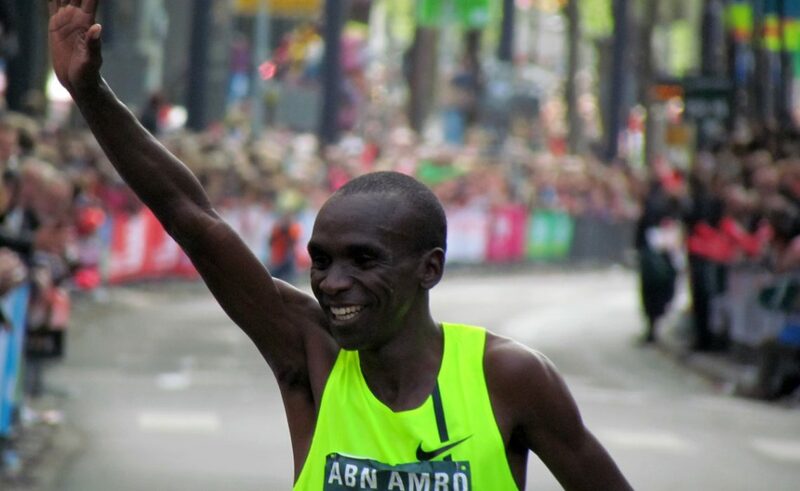 Eliud Kipchoge from Kenya won the 34th ABN AMRO Rotterdam Marathon on Sunday in the Dutch port city. Khalid Choukoud made ​​a strong debut, finishing seventh with a time of 2:10:52 meeting the qualification standard for the European Championships in Zurich, and he moved up to the all-time Dutch ranking into ninth place . After the race, an emotional Choukoud said: "I have no words for it." Abebech Afework from Ethiopia, second last year in Rotterdam, was the fastest woman with a recorded a time of 2:27:50.